Let's start with the basics. The ZeroLemon cases come in two flavors for each phone. The slimmer, lower capacity versions each have 5000 mAh batteries, more than doubling the built-in batteries in the S10 and S10+. ZeroLemon also offers even longer-lasting 8000 mAh (for the S10) and 10,000 mAh (for the S10+) models that will more than triple your battery size at the cost of a beefier profile. ZeroLemon's cases are designed for 24/7 use, which means you don't have to remove the case to charge the phone or for data transfers. 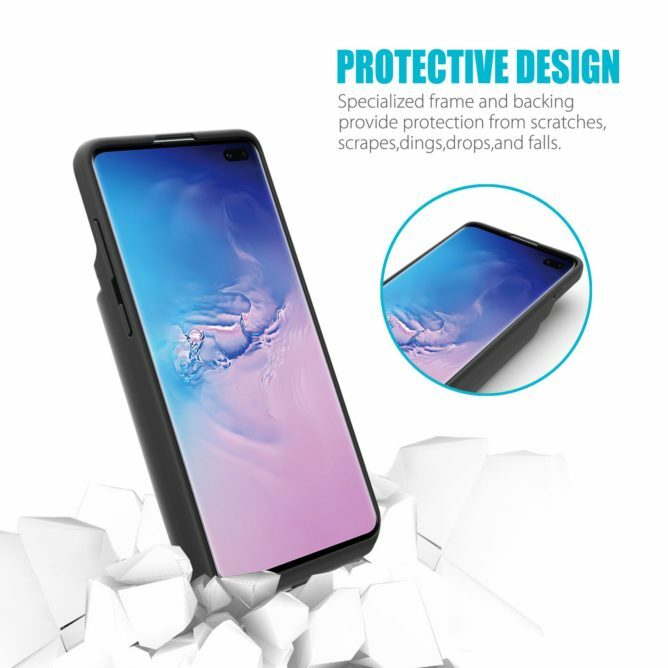 You also get a case that offers real protection with its quality TPU construction that keeps your phone safe from drops and scratches. The raised edge keeps your screen from bearing the brunt of falls flat on the ground while the rubberized grip helps prevent drops in the first place. 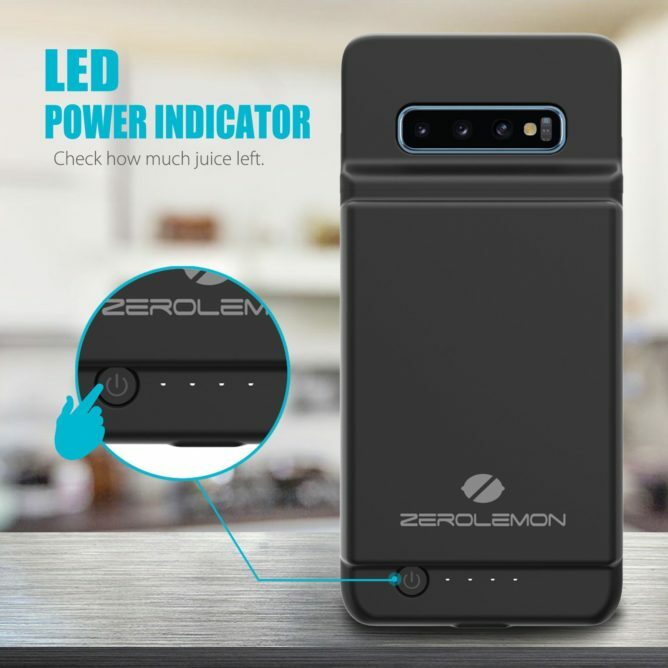 You also get conveniences like the ability to toggle the charging function on and off as well as an LED power meter to help you keep track of how much juice is left in your ZeroLemon. 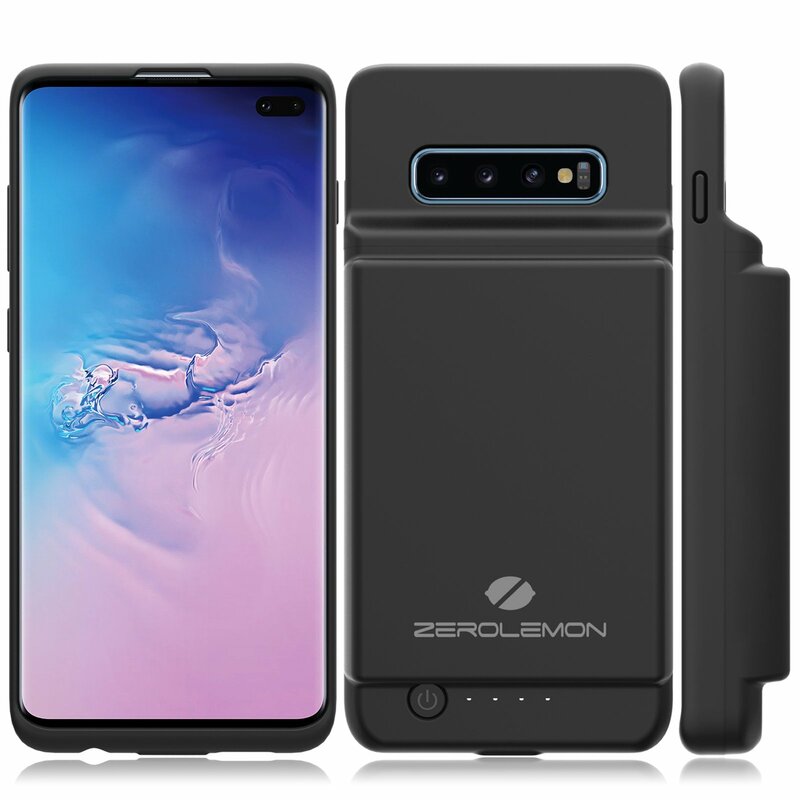 Both 5000 mAh models will cost $39.99 (link to S10 case/link to S10+ case) and the higher-capacity models cost $59.99 (link to S10 case/link to S10+ case) from ZeroLemon, where they are available and ready to ship today. Learn more at ZeroLemon's official site.